With incredible seafront views, the 4-star Mercure Brighton Seafront Hotel is the ideal place to stay when visiting this historic city. 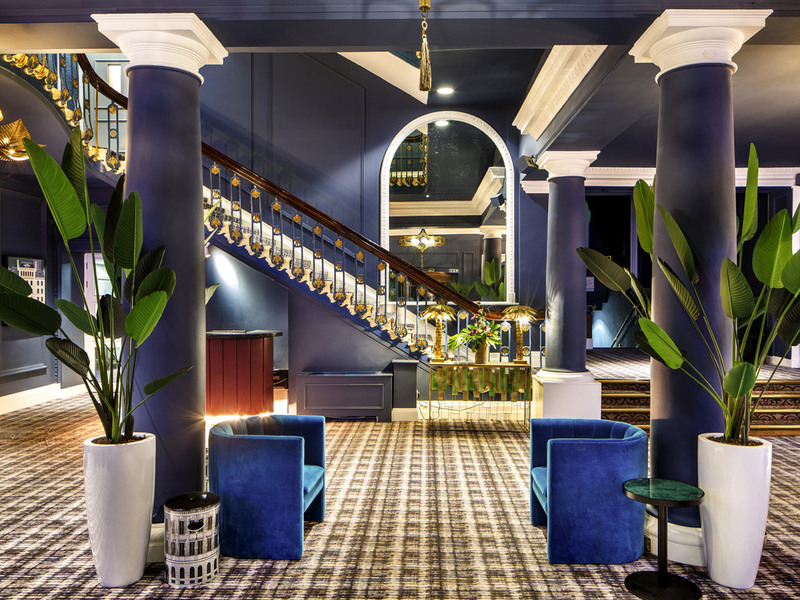 The Grade II listed hotel is a grand Victorian landmark with period features, including stuccoes Regency frontage, original mirrors, chandeliers and a high-ceilinged ballroom for celebrations. An ideal stay for both families and couples, it brings some 19th century elegance to your stay in Brighton. Just across the road from the promenade, the Mecure Brighton Seafront hotel is just a mile from Brighton railway station, with regular services to London Victoria, Gatwick Airport and England's Beautiful South Downs. The A23 is less than a mile away. All bedrooms feature a flat-screen TV and complimentary high speed WiFi. Upgrade to a room with a sea view. In privilege and superior rooms you 'll enjoy a Nespresso coffee machine, newspaper, robe and slippers. The Brasserie offers traditional and internationally inspired cuisine, delicious desserts and a selection of fine wines to compliment your meal. Offering panoramic sea views you are welcome to have a light snack or a full 3 course meal. Enjoy an aperitif and nibbles in the Brasserie Bar while surfing the Internet with complimentary WIFI access. Offering a range of wines, beers spirits as well as the full food menu, you can sit back and relax until you are ready to leave. لم تكن جيدة منذ اول يوم استقبال الغرفه تفتقد الى الخدمات مثل صندوق الأمانات والثلاجة لدرجة ان جميع ايام اقامتي لم اجعل احد يقوم بتنظيف الغرفة خوفا على اوراقي الخاصة وممتلكاتي لعدم وجود صندوق الأمانات الغرفة بدون افطار وبذلك كنا بحاجة ماسه لثلاجة لحفظ بعض الأطعمه والحليب والماء غير ان الغرفة حارة جدا ليلا بدون تكييف اعطيت غرفة كان الازعاج بها كبير من الجهتين حيث عن الغرفة بها بابين باب الطوارئ والباب الرئيسي بالنهاية لااععتقد ان الفند يقدم خدمات 4 نجوم ابدا بل فنادق 3 نجوم افضل خدمات غير ان مفاتيح الأبواب لاتعمل علينا كل يوم النزول للاستقبال لأعادة برمجتها لا ارغب تكرار التجربه معكم ولن انصح احد الأصدقاء او الأقارب بالتعامل معكم ! !